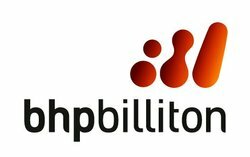 Formed by the merger of Australia's Broken Hill Proprietary with South African miner Billiton. The company produces iron ore, copper, diamonds and aluminium, oil and natural gas, though it is base metals that remain the core of the business. Response efforts at Samarco continue with good progress being made on community resettlement, community health and environment restoration. The health and safety of our people and the communities in which we operate always come first. We are committed to addressing the consequences of the tragedy at our joint venture, Samarco. The health and safety of our people is our first priority. After no fatalities in the 2014 financial year, we tragically lost five colleagues this year. It is our ongoing goal to have a workplace free from fatalities and serious injury and we have implemented a company-wide program to improve performance. Robust financial results reflect record production and substantial productivity gains offset by lower commodity prices.